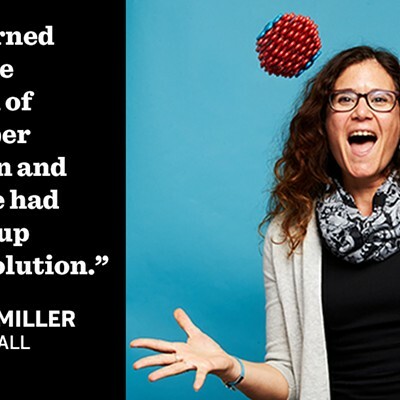 What do sparkling herbal tea, a microfiber-catching laundry ball and a virtual-reality surgery simulator have in common? They’re all made by startups appearing in the 2018 LaunchVT Pitch Competition, a program of the Lake Champlain Regional Chamber of Commerce. 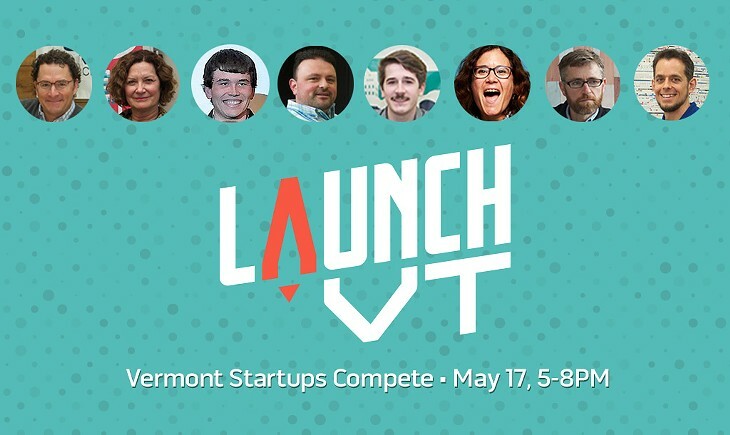 Each year, LaunchVT selects eight Vermont companies to compete in its annual early-stage acceleration program. For eight weeks, the entrepreneurs in this “cohort” work with a coach, strategic advisers and each other to refine their business models and hone their pitches. The grand finale is the Pitch Competition, Vermont’s version of the TV show “Shark Tank,” during which the entrepreneurs present their ideas to a panel of judges, as well as an audience of local businesspeople, investors and the general public. 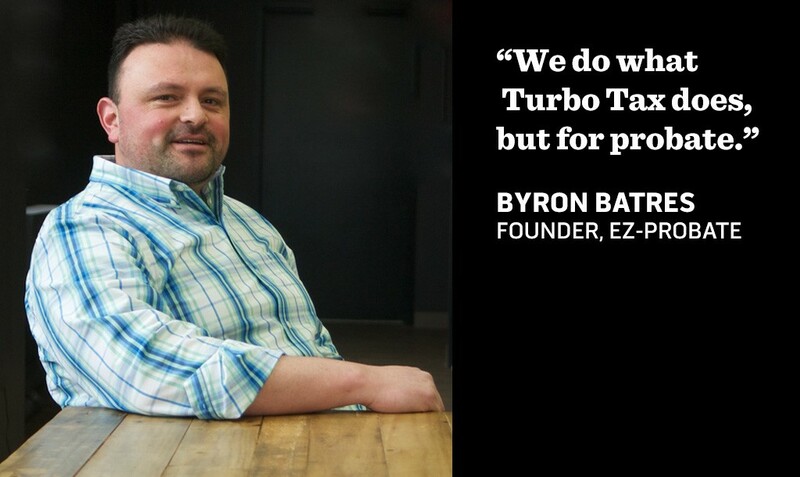 At stake is $100,000 in cash and in-kind services that could give these businesses a big boost. This year’s event takes place on Thursday, May 17, from 5 to 8 p.m. at the Film House in the Main Street Landing Performing Arts Center in Burlington. 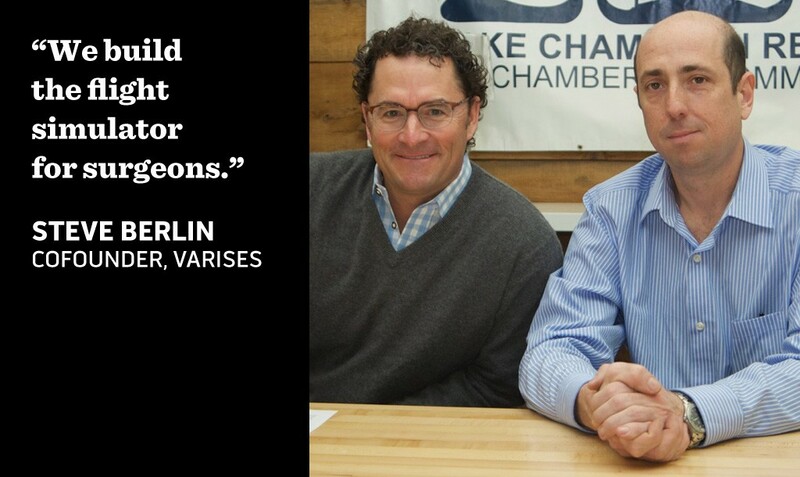 Entrepreneurs from eight different cities and towns across the state will get a turn in the spotlight, and a chance to make the argument that their startup is the most likely to succeed and generate significant employment in Vermont. Along with practiced pitches, this free event will include a DJ, food, a cash bar, and entertainment from MC and legendary serial entrepreneur Alan Newman (click here to pre-register). Here’s a sneak peek at the eight teams vying for this year’s top prize. 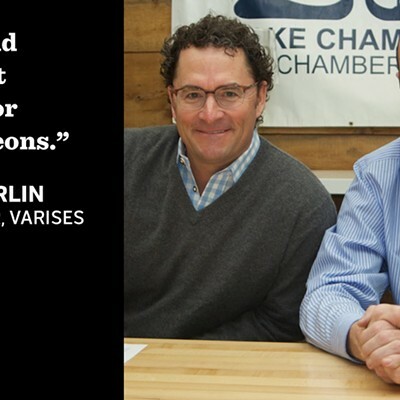 We asked them to share what inspires them, why they chose to start their businesses in Vermont, what they consider to be their “secret sauce” — the thing that distinguishes them and elevates them above the competition — and what they think of as their spirit animal. The big winner, of course, is the state of Vermont, which this talented and eclectic group of entrepreneurs calls home. Did you know that by cleaning your clothes, you’re polluting the oceans? When textiles go through the washing machine, they shed thousands of tiny fibers, some plastic, others coated with chemicals. These microfibers are too small to be caught in conventional filters; the smallest are just half the size of a red blood cell. They drain into lakes and rivers and make their way into the marine food web — and into our own food and water. 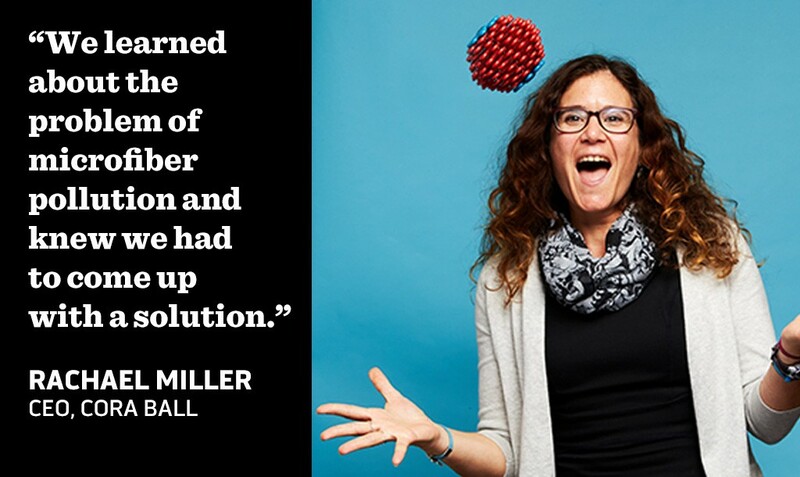 Enter the Cora Ball, a microfiber-catching laundry ball. Designed, like coral, to filter water, the Cora Ball is made of recycled plastic and can be added to any washing machine. It picks up microfibers and keeps them from ending up in public waterways. “There are few better places to be inspired by nature and to protect nature than in the mountains and along the lakes and rivers of Vermont,” she says. Born in Guatemala, the 42-year-old entrepreneur grew up in Bucks County, Pa., and moved to Vermont, where he met his wife, Kerry. A few years ago, Batres, a Certified Financial Planner, was named an executor for a family member's estate. In an effort to save $6,000 in legal fees and countless hours of time, he completed probate by himself. After some of his financial planning clients asked for help with probate, Batres saw an opportunity to simplify the process. He’s since successfully closed 47 cases all over the country, from a $17 million estate in California to a $1,500 estate in Georgia. How much could his customers save? Typical attorney fees for simple estates range from $2,500 to $6,000, with many states allowing attorneys to charge up to 5 percent of the value of the estate. This can result in legal fees in the tens of thousands of dollars. The California estate Batres helped settle would have cost more than $85,000 to probate with a lawyer, he says. 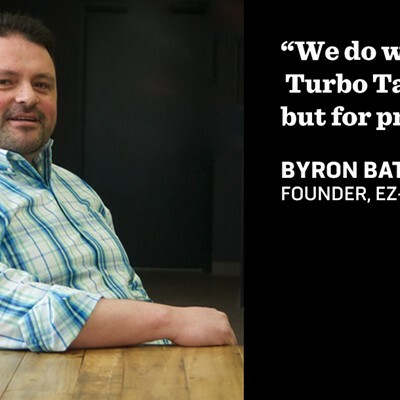 Using EZ-Probate, his clients did it for just $500. Anybody who has been named as an executor or administrator of an estate. What inspired him to start a business? “I feel strongly that probate can be done for a fraction of the cost and a fraction of the time,” Batres says. He also credits Kerry for pushing him to pursue his idea. “I wouldn’t be able to do it without her,” he admits. And he notes that they have two kids, ages 12 and 15; he wants to contribute to helping young people like them stay in Vermont. Lastly, he adds that "it's especially rewarding to support clients during a difficult time by empowering them to tackle what would be a daunting task." A wolf, though he disputes the lone wolf stereotype. “They’re actually strong, social animals,” he says, adding that they prey on the old and the tired. He thinks the established probate system, a slow and expensive probate lawyer, is perfect prey. Powerful wind-, rain- and ice-storms are a fact of life in Vermont. They can cause tremendous damage, especially to power lines. 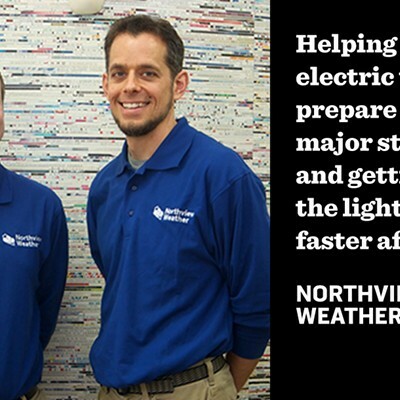 Northview Weather LLC uses new technology and applies unique research and methods to help electric utilities prepare for major storms, and get the lights on faster afterward. Founder Jason Shafer, 40, is a professor of atmospheric sciences at Northern Vermont University — Lyndon. An accomplished forecaster, Shafer developed an early interest in extreme weather as a kid growing up in the hills of northern New Jersey; he often woke early on snow days eager to shovel snow and track storms on the Weather Channel. In addition to working on Northview Weather, he has forecast weather conditions for climbers on Mount Everest. 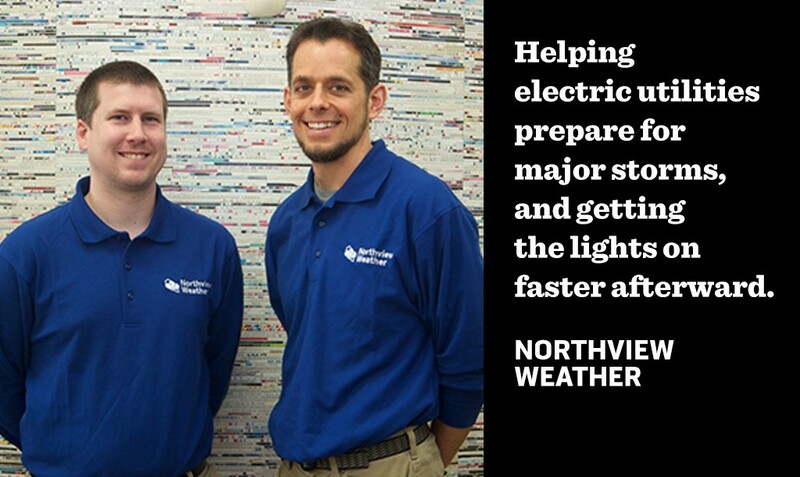 Electric distribution utilities and emergency managers. 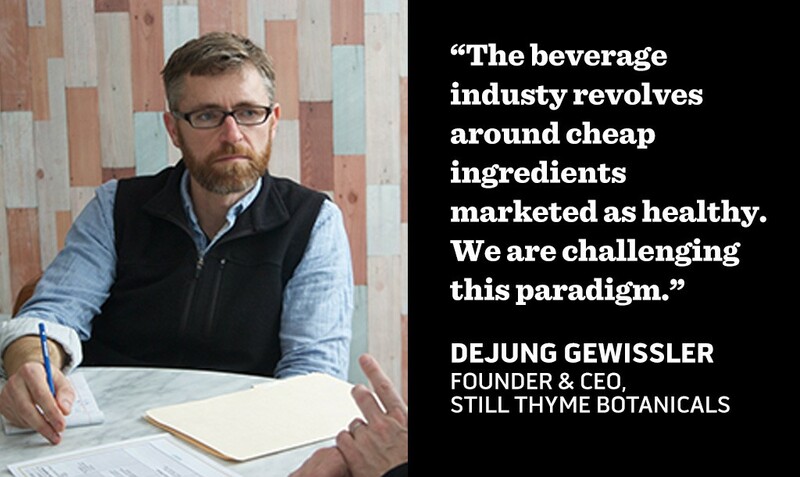 Berlin, a self-described “startup alchemist,” has worked with technology-based businesses for more than two decades. Cofounder Bryan Huber brings medical expertise; he cofounded Mansfield Orthopaedics at Copley Hospital in Morrisville and serves as team physician for Burton Snowboards and the U.S. Snowboard Team. Where do you go in Vermont to get inspired? “The butterfly,” says Berlin. “It represents metamorphosis and personal transformation." 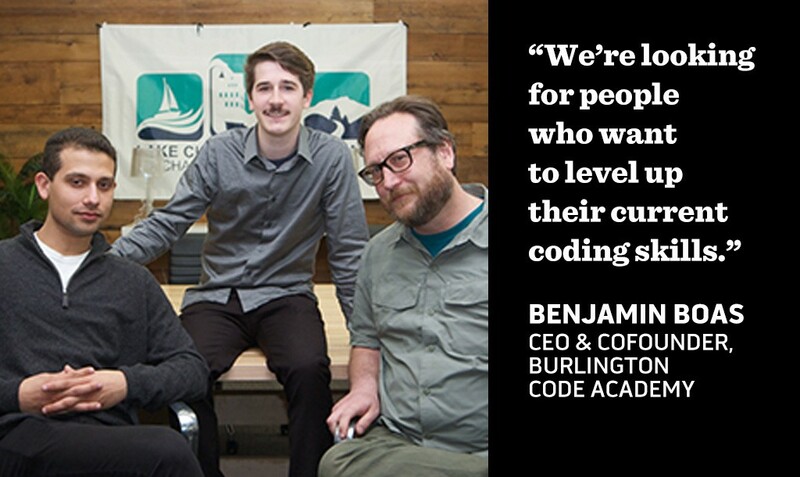 Tech companies in Vermont have been complaining for years about a shortage of employees with coding skills. 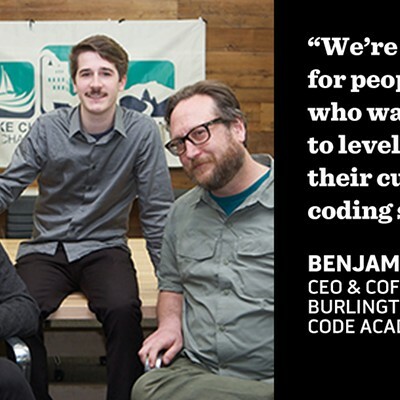 The three cofounders of Burlington Code Academy think their immersive, 12-week training program will help those firms fill the skills gap. All three cofounders grew up in Vermont: twentysomethings Benjamin Boas and Alex Horner in Proctor, fortysomething Alex Chaffee in Burlington. All three left the state after high school or college to find work in other cities. As coding boot camps spread to every major U.S. city, they decided to establish the first one in their home state. “We want to provide Vermonters with the opportunity to learn skills that employers need and provide companies with talent they need to grow,” says Boas. 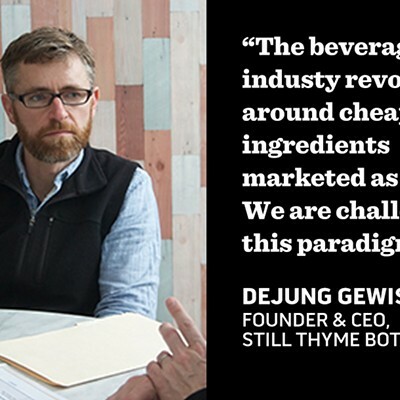 Next time you’re shopping for a cool, refreshing beverage, Dejung Gewissler hopes you’ll try some of his Still Thyme Botanical soda. The 41-year-old herbalist makes the sparkling tea from organic medicinal herbs and a splash of lemon juice and sweetens it with local honey. Flavors include Rose Balm, Holy Basil and Hibiscus Mint. Where in Vermont do you go to get inspired? 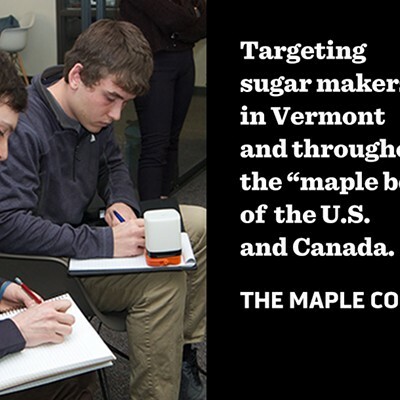 The cofounders of this maple sugaring equipment and tool business are still in school — Jack Beauparlant, 21, and Manny Aretakis, 22, met last semester in a Foundations of Entrepreneurship class at Vermont Technical College. 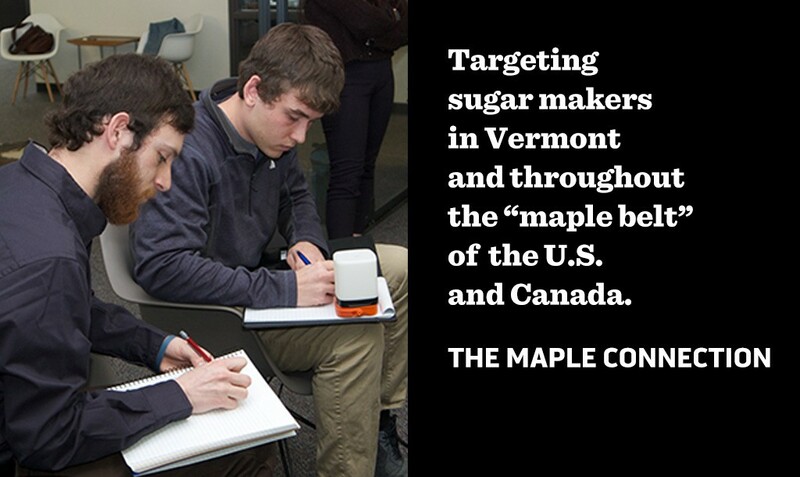 For a class project, the VTC students developed a tool to help sugarmakers produce maple syrup more efficiently. Their lightweight, portable connector makes it easier for sugarmakers to connect their taps to the tubes that carry maple sap to the sugarhouse. Beauparlant, who started a Danville landscaping business in high school, works at Farnham Farm Maple in Plainfield during sugaring season. He came up with the idea. Aretakis, a Maine native, designed the tool and made a prototype with VTC’s 3D printer before crafting a final version in the school’s machine shop. The pair won their class’ pitch competition, which qualified them for the LaunchVT Collegiate competition. They won that, too, beating teams from other colleges. They received $4,000, which they used to start their company, then called Green Mountain Maple Innovations. They also secured a spot in the Launch VT 2018 Pitch Competition Finals. “Sugarmakers in Vermont and throughout the ‘maple belt’ of the United States and Canada,” says Beauparlant. Says Beauparlant: "We go to the sugar woods to get inspired, so we can be inspired to create new tools for the maple tubing installation process." Forty years ago, Julie Moir Messervy was inspired by pictures of Japanese gardens and was able to apprentice with a garden master in Kyoto, Japan. “I’ve been building gardens, landscapes and parks ever since,” she says. 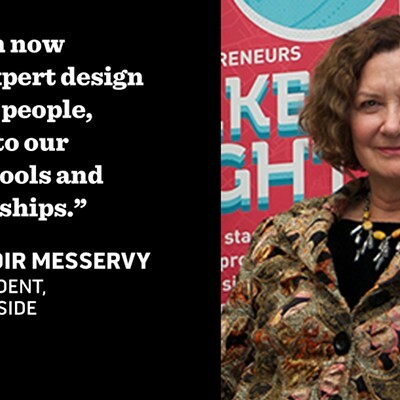 As the principal at her own firm, Julie Moir Messervy Design Studio, she has worked with planners, architects, artists and engineers on everything from intimate residential gardens to large-scale master plans. She’s written eight books and won numerous awards. Recently, the sixtysomething Westminster resident decided it was time to try something new. Her studio recently developed an online service and app, called Home Outside, to make expert landscape design available and affordable for homeowners everywhere. People can work with Home Outside’s award-winning designers online to craft a personalized landscape plan, or they can use the simple Home Outside app to design it themselves. 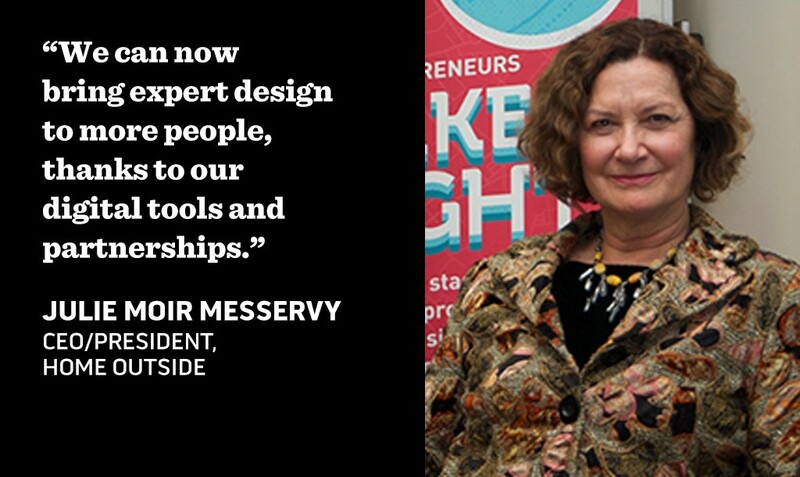 Says Messervy: “The five members of my team and I all live in southern Vermont, and we wanted to find new ways to bring design projects to us.” She adds that she’s grateful for the mentoring and advice from Vermont business leaders that she’s received as a member of the 2018 LaunchVT cohort. Want to attend the 2018 LaunchVT Pitch Competition? This article was commissioned and paid for by LaunchVT.